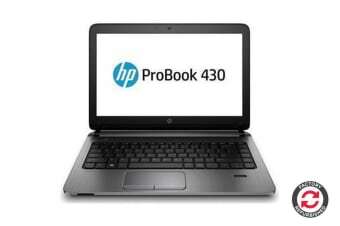 Travel in style with the 13.3-inch diagonal HP ProBook 430 with a new gravity black LCD cover design. Confidently take on the day with a PC that passed MIL-STD 810G testing, built with an aluminum reinforced keyboard deck. Power through projects with 6th Gen Intel Core processors and multiple HDD and SSD drives options to suit your needs. Help keep sensitive data secure with comprehensive security features like HP BIOSphere design as well as the embedded TPM. Enjoy the rich user experience of the HP ProBook 430 with long battery life and features designed to create a stunning visual and audio experience.